Dr. Ong is an Australian-trained general surgeon with subspecialisation in Breast and Endocrine surgery. He has been a consultant general surgeon for 10 years and has been providing surgical services to Sydney South West for the last 9 years. 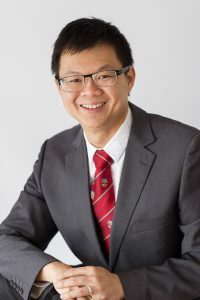 Dr. Ong is appointed at Campbelltown Public and Private hospitals, Sydney Southwest Private hospital (Liverpool), Liverpool Day Surgery and Strathfield Private hospital. He is a member of BreastSurgANZ and ANZ Endocrine Surgeons. He is a lecturer at Western Sydne University, surgical representative at the Macarthur Staff Council and general surgery representative for the medical advisory committee at Campbelltown Private hospital. Dr. Ong provides expert witness opinions and reports for breast and endocrine medico-legal cases in Australia. One of the main breast cancer surgeons in Western Sydney. Dr. Ong is part of a multi-disciplinary breast cancer group at the Macarthur Health Service and SWSLHD. He applies oncoplastic principles to breast surgery. He is an endocrine surgeon for Macarthur and South Western Sydney. BARD hernia preceptor and teaches hernia techniques to surgeons and surgical tainees. Practice load: 250-285 breast and endocrine operations in a calendar year. Utilisation of high-resolution ultrasound in the rooms for breast and endocrine patients. Call (02) 4610 7944 to book an appointment with Dr. Ong.